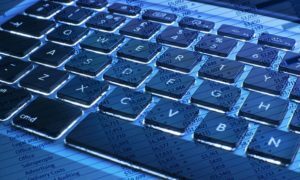 The Australian’s controversial data retention laws have come into effect, requiring telecommunication companies and Internet service providers to retain their user’s metadata. The data collected will be available to the law enforcement agencies and intelligence agencies, which they will use to fight crime and terrorism. The scheme has sparked a huge debate on what is being perceived as massive government surveillance, and the effects it will have on the online anonymity of the Internet users in Australia. What is the metadata retention scheme? The metadata retention scheme is a mandatory retention of data by telecommunication companies, internet service providers from their customers. The new law will require the companies to develop systems that will be used to store their customer’s data for two years. The data stored will be accessible to law enforcement agencies without the need for a warrant. Metadata is the information regarding a certain communication. This includes who, where, when and how. For example, telephone companies will be required to store data about their customers’ phone calls and text messages. The data collected will include who the phone call (or text message) was made to, when the call was made, and how long it took place. However, there has been confusion over what data will be collected by the companies. The government has denied allegations that the content of communication or Internet activity will be collected. The data retention scheme has received both support and condemnation. It has especially received heavy opposition from critics who are worried about the invasion of privacy and lack of online anonymity. Journalists have also criticized the scheme, terming it as an infringement on the freedom of the press. Under the new laws, security agencies can use the data collected to identify journalist sources. While the attempt to identify the source will require a warrant, the proceedings will be held without the knowledge of the journalists and away from the public eye. In addition, government agencies will not be required to obtain a warrant when searching for a source amongst their employees. Individual Internet users, whose privacy and online anonymity will be affected most, have also received the scheme with mixed reactions. According to a poll that was conducted prior to the scheme becoming law, 44% of the Australians were against the implementation of the new law. In 2013 (during a previous attempt to implement the laws), the data retention received an overwhelming opposition from the public, who were worried that the scheme would invade the privacy and online anonymity of internet users. The Australian government has, however defended the scheme, claiming that it is necessary to fight crime and protect the country against acts of terrorism. Australia’s Attorney General has stated that the scheme will give security agencies the ability to effectively investigate crimes in an era where there is a continuous advancement in technology. What are the effects of the metadata retention scheme? While the telecommunications company will not retain the content of communications, the data collected will greatly affect the online anonymity of Internet users. Law enforcement agencies can use the collected metadata to build a profile and obtain details that are more revealing even than the content of the communication. For example, law enforcement agencies cab be able to tell your financial history, items you bought online, medical issues you might have, your friends, people you are in a relationship with, if you are having an affair, and other kinds of information by just looking at the metadata collected. Internet users will therefore have a hard time maintaining their online anonymity, as any information collected might be used to identify them, regardless of how small it seems. One of the main concerns with the data retention scheme it that it will increase the risk of stealing users’ data. Under the new laws, telecommunication companies will be required to collect metadata from all their users and store it in one location where it can be easily accessed by law enforcement agencies. The companies have warned of the dangers of such a system, stating that it will become an easy target for hackers. Internet users’ online anonymity might therefore be compromised further if their data was to be illegally accessed by hackers. Telecommunication companies will only have access to your information if you give it to them. Therefore, you should be careful of how you use the internet to prevent them from collecting your data. Avoid posting overly personal information and photos about yourself and your friends in online platforms. Proxy servers allow you to hide your IP address and browsing history, which can help to increase your online anonymity. Some proxy services even encrypt the traffic from your devices, ensuring that no one is able to view what you are doing. However, metadata information collected can still be used to give an idea as to what you are doing. For example, ISPs collect unique information about the computer or device used to access a specific website, which can be used to identify you. Tor is an online anonymity tool that encrypts the traffic going from your computer and bounces it through several servers around the world to mask your location. It is available free of charge, and is easily downloaded and installed on your computer. However, it can lead to latency issues. It can also make you a target of law enforcement agencies, since there have been quite a number of cases where criminals use it to hide their activities. 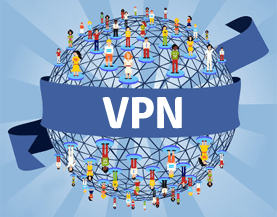 Virtual private networks (VPNs) are another great way of ensuring your online anonymity. VPNs encrypt the data coming to and from your device and completely secures the network you are using making it hard for anyone to obtain your data. VPN services will also offer you other advantages such as IP address hiding, which will make it impossible even for ISPs to tell your location or the websites you are accessing.